Another church has been closed down in northern Algeria, as pressure against Christians intensifies in the Maghreb country. The village church in Azaghar, near the town of Akbou, was forced to stop all activities on 2 March. The church had been running for over five years. Two weeks earlier, on 18 February, the leaders of the church had received a notification that they must close their church within 15 days. The notification stated that the church building, “which was originally intended for the poultry business”, did not meet the standards required by law in order to host a public meeting. It pointed to the lack of a second exit or fire extinguisher. It also said the fact the church had a foreign pastor (he is from the Democratic Republic of the Congo) contradicted a 2008 law “concerning the conditions of entry of foreigners into Algerian territory and their residence, as well as their movements”. The church is the fourth forced to close in the past four months. The three others were in or around the town of Oran, 600km west of Akbou. Each of the churches are affiliated to the EPA, Algeria’s main Protestant-church body, officially recognised by the government since 1974. Of the EPA’s 45 churches, 25 have received notifications to comply with safety standards in the past few months. But the Algerian Minister of Religious Affairs denied discriminating against the country’s Christian minority. Mohamed Aissa told Ennahar TV earlier this month that the churches “did not meet the standards required of a place of worship”. In response, a spokesperson from the EPA told World Watch Monitor “the government is simply implementing the 2006 law of regulating non-Muslim worship. This law is a Sword of Damocles suspended above the churches. It is the legal instrument that the government uses to silence the Church. The purpose of this law is precisely to curb the activities of churches and to control them”. But in practice, the authorities have failed to respond to almost all applications from churches for places of worship, including churches affiliated with the state-approved EPA. 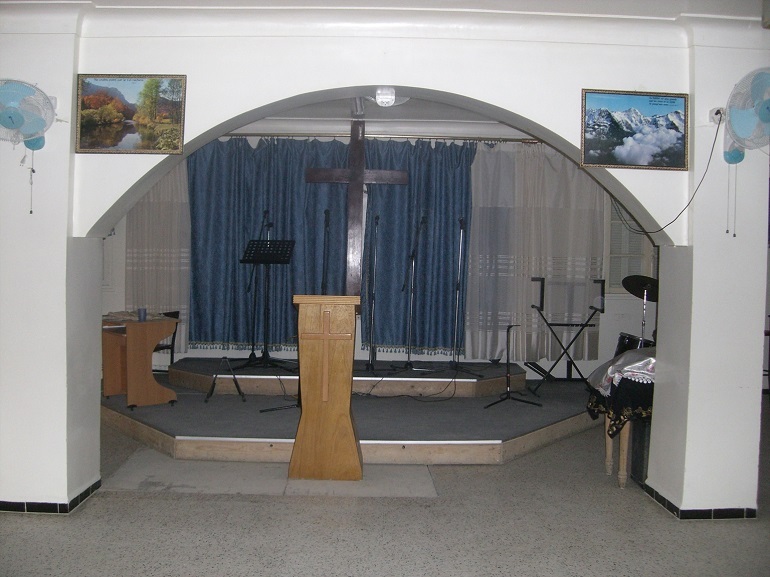 A local church leader, who wanted to remain anonymous, told World Watch Monitor the government “does absolutely nothing to help Christian communities to afford an adequate place of worship”. He added that it is almost impossible for Christian communities to buy their own plot of land because it is so expensive. As a result, all Protestant churches, affiliated with the EPA or not, are forced to rent premises, while those who rent their properties to a church also face threats and intimidation from the authorities, making it even more difficult for Christian communities to find a place to meet.